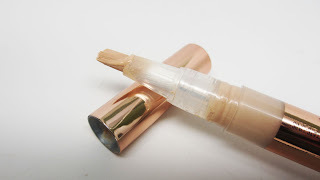 Home concealer DRUGSTORE PRODUCTS highlighting and contouring l'oreal L'Oreal Lumi Concealer Demo & 3 New Ways to Use A Concealer Pen! 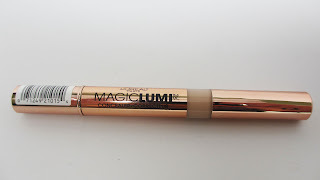 L'Oreal Lumi Concealer Demo & 3 New Ways to Use A Concealer Pen! Happy Friday! I wanted to share another tips post with you. 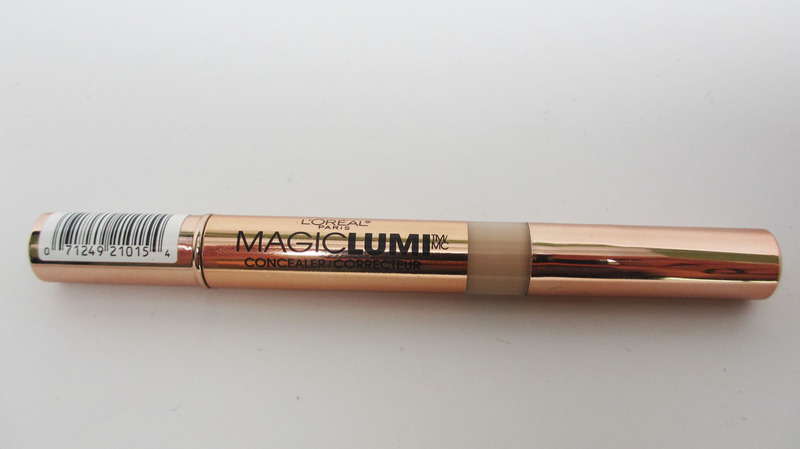 I picked up the L'Oreal Lumi Concealer which is in a clicky pen form. As i've been using with it, I started playing with the product and came up with some new ways to use it. 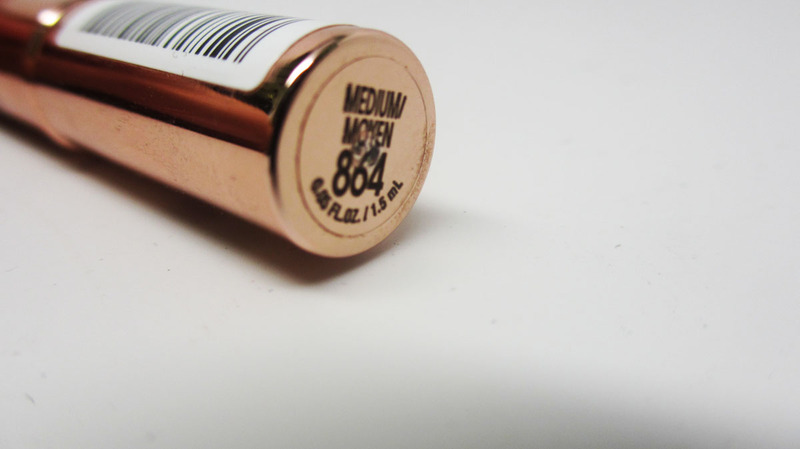 I know a lot of you have these kind of concealer pens so I hope this post is helpful! Here's some shots of the product. I love the rose gold packaging. It's very similar to the YSL Touch Eclat except I prefer the more yellow based YSL shades. You twist the bottom and the product comes out of the brush tip. I really like the consistency of this formula..it's very lightweight and blends nicely into the skin. I prefer it for highlight rather than concealing because of the sheer consistency. Tip #1: This is pretty obvious, but you can use this concealer to highlight and lightly conceal. If you buy it in a slightly lighter shade (I use medium), you can apply this to the high points of your face. The skinny brush makes it great for highlighting the bridge of the nose. I also love how the products blends very nicely into the skin. 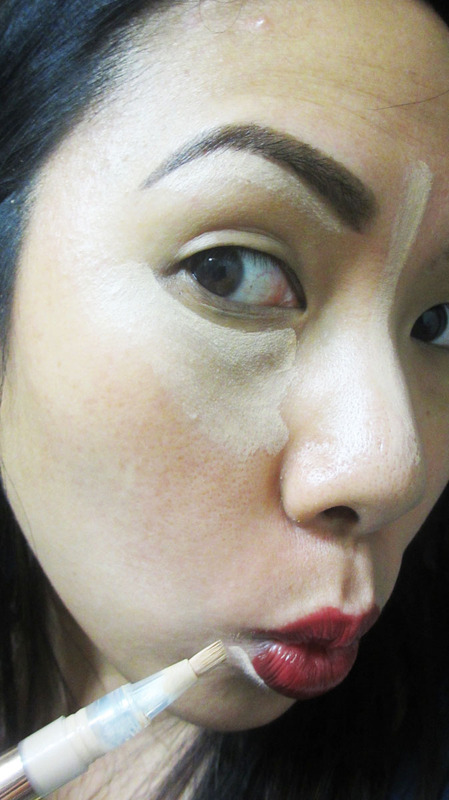 I'll use my fingers to blend out the product under my eyes and a foundation brush elsewhere. Tip #2: Use this to clean up around the eyebrow area. 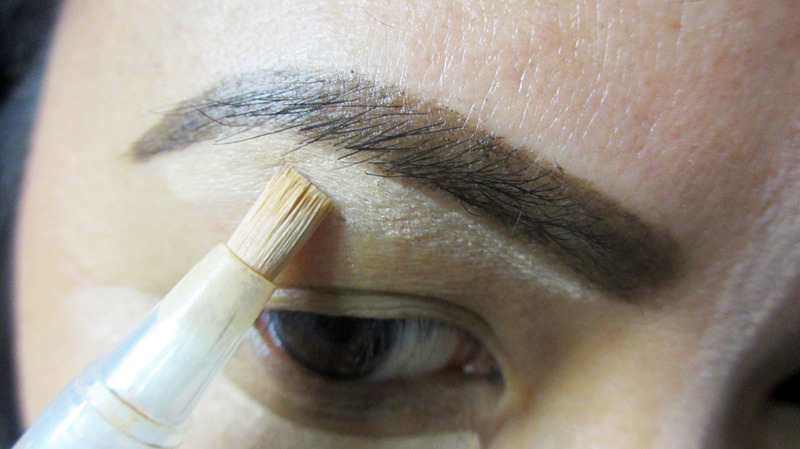 The brush head fits nicely under the brows and the thinner formula prevents you from going overboard. 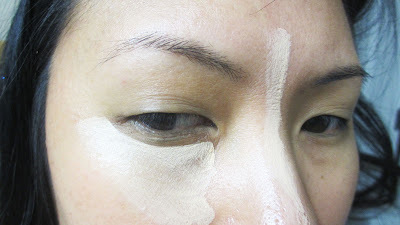 Just make sure to tap the excess concealer on the back of your hand so that you don't apply too much product. Tip 3#: Use the concealing brush to clean up around your lips. 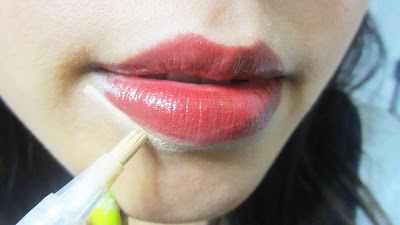 This is especially helpful for a perfect red lip. Make sure to blend out the color really well so it doesn't look obvious. Try playing around with your concealer pen. I love getting bang for my buck. Good luck! FTC Disclosure: Post not sponsored. Featured product purchased by me.